Once your order is shipped allow 1-6 business days in transit for delivery within the contiguous U.S. International orders require 6-10 Business days in transit not including Custom clearance process. Create a cozy ocean setting at your dinner table with nautical themed candle holders. Your guests will be enchanted! 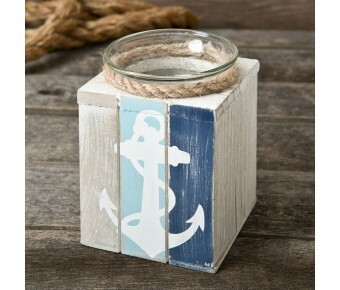 If you are decorating a nautical themed room or home, you have to have a candle holder to match. This beautifully crafted maritime design is the perfect piece. 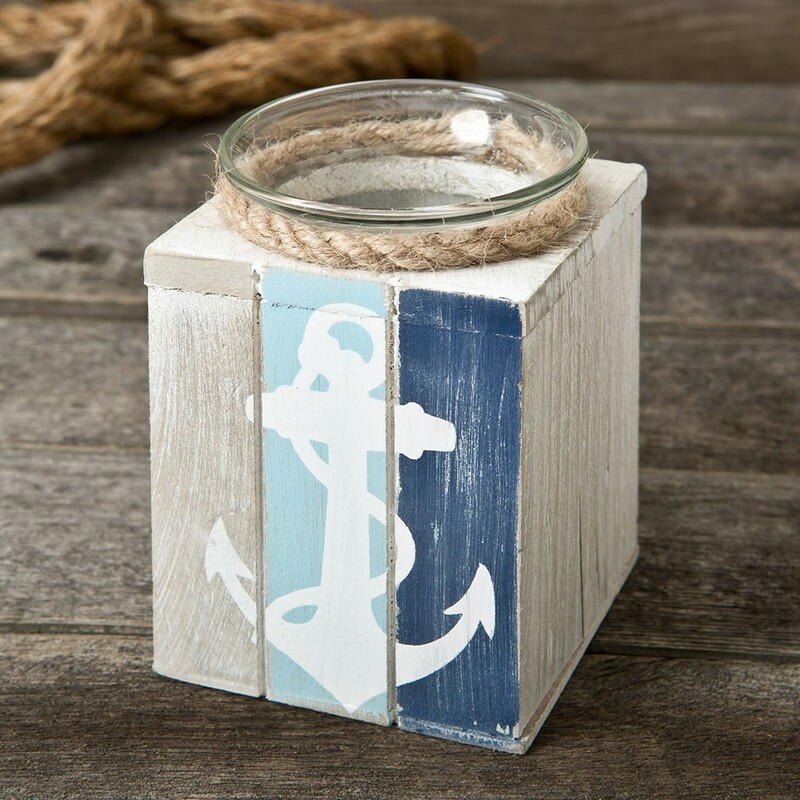 Our candle holder is hand crafted from wood and features a distressed look in soft pastel colors of blue, cream and tan with a white anchor in the front. Set in the middle of the wooden block is a glass candle holder with a real rope surrounding the outer edge. A tea light candle is included. Add a laid back vibe to your store's shelves with nautical themed items. This candle holder is part of our exclusive collection and will pair perfectly with the wall hangings, wall hooks and coasters in a matching design. Size is 3 3/4" x 2 1/2"
I received the 25th anniversary favors today and they are BEAUTIFUL! THANK YOU so much! You are simply the best! Best E-Commerce Platform. Superb online shopping experience. © 2006 My Italian Favors Store. All Rights Reserved.